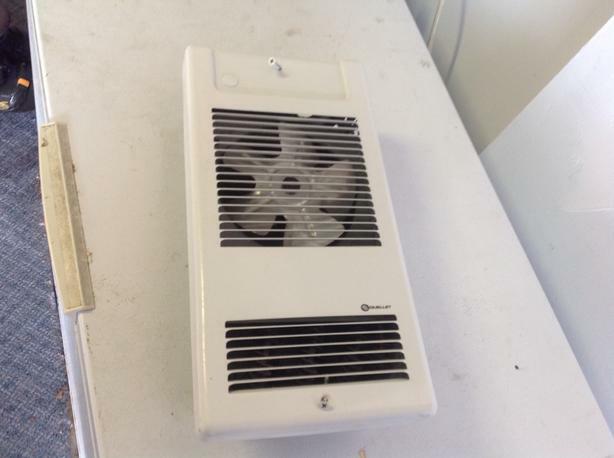 750w wall heater. Works fine, just updated bathroom. Rough in (wall hole) size is 6.5 inches wide and 14 inches high. Trim face another 2 inches. No built in thermostat. Price obo.